Here is your chance to Dine with Nanny Fine! 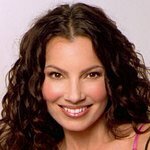 A new charity auction is giving you and a friend the chance to spend an evening with TV legend Fran Drescher at New York City’s fabulous Robert restaurant. Get an intimate window into Fran’s life, enjoy a gourmet meal, and take a pic! Auction proceeds benefit Drescher’s Cancer Schmancer Movement, which saves lives through education about early detection and prevention. To view the auction and find out more, click here.